November 26, 2018 - Divers encountered a strange fight between an octopus and a pufferfish, off Fregate Island in the Seychelles. The octopus appears to be trying to make a meal of the fish, but is that even possible? Read "Why is this octopus trying to eat an inflated pufferfish?" 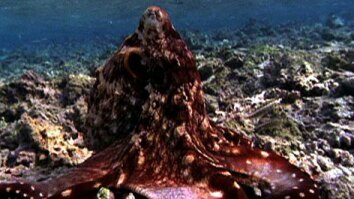 Divers encountered a strange fight between an octopus and a pufferfish, off Fregate Island in the Seychelles. The octopus appears to be trying to make a meal of the fish, but is that even possible? While octopuses have the capacity to eat creatures small and large, they usually don’t eat fish—especially poisonous ones. Pufferfish are filled with tetrodotoxin, a neurotoxin hundreds of times more potent than cyanide. However, no one knows how this affects octopuses. In addition to this chemical defense, pufferfish are covered in spines. 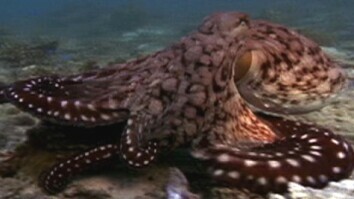 Octopuses arms, however, are nimble and malleable, able to wrap around sharp edges without injury. 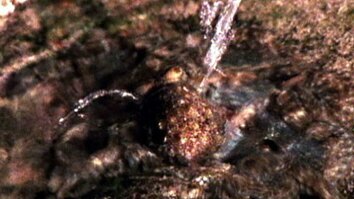 The divers had to leave the scene before seeing the final outcome, so scientists can only speculate which of the two came out alive.